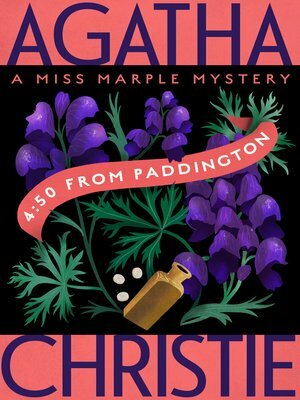 In Agatha Christie's classic mystery 4:50 From Paddington, a woman in one train witnesses a murder occurring in another passing one...and only Miss Marple believes her story. For an instant the two trains ran side by side. In that frozen moment, Elspeth McGillicuddy stared helplessly out of her carriage window as a man tightened his grip around a woman's throat. The body crumpled. Then the other train drew away. But who, apart from Mrs. McGillicuddy's friend Jane Marple, would take her story seriously? After all, there are no other witnesses, no suspects, and no case — for there is no corpse, and no one is missing.